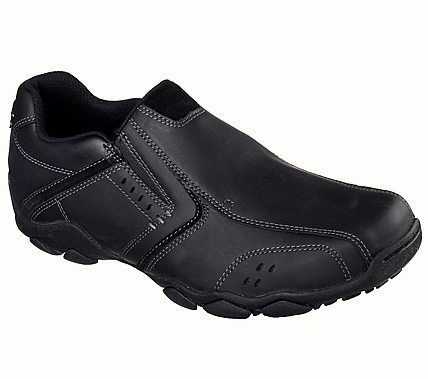 Keep the classic style going in comfort with the SKECHERS Diameter - Valen shoe. Smooth leather upper in a casual slip on with stitching and overlay accents. Side stripe overlays, Memory Foam insole.